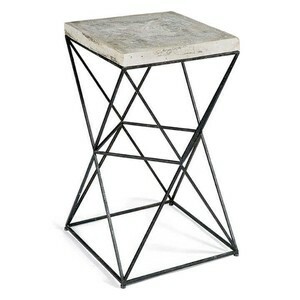 Side tables to bring character and fun to your space! 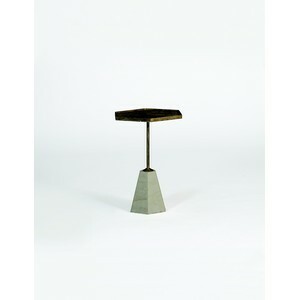 When we designed this bunching tables set, we literally turned design upside-down. Rather than the classic marble top, we instead created a geometric marble base and added a hexagonal-shaped top finished in an antique gold. 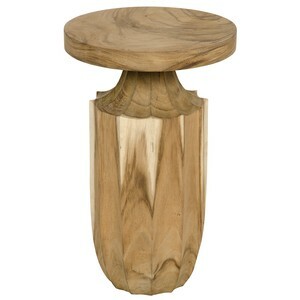 Perfect as an end or occasional table, or pair multiples together to form a coffee table. 18.5 inches tall. 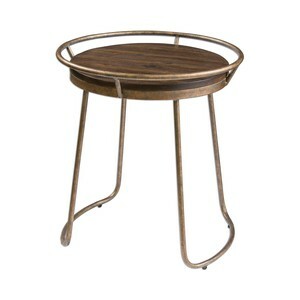 Unique Open Tray Styled Top, Made Of Hand Forged Iron Finished In Burnished Antique Copper With Solid Acacia Wood In A Rich Walnut Stain. 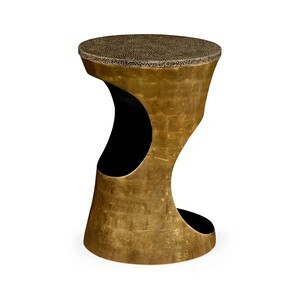 Emperor Gold lamp table with a gold-leaf gilded base and a Midnight Snakeskin top.